Travis Trickett will return to his alma mater, West Virginia, to serve as quarterbacks coach. 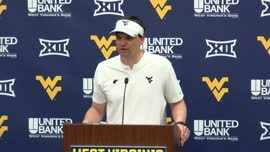 MORGANTOWN, W.Va. – Most of Neal Brown’s new coaching staff is foreign to West Virginia, but his tenth and final hire is as tied to the program’s past as one can get. 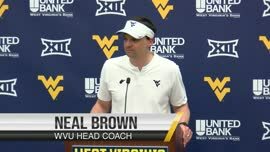 Travis Trickett, the son of former WVU assistant coach Rick Trickett and the brother of former Mountaineers quarterback Clint Trickett, will join Brown’s staff as an offensive assistant. 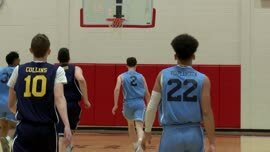 The school made an official announcement on Monday afternoon. Trickett spent the past two seasons as Georgia State’s offensive coordinator and quarterbacks coach. Prior to that, Trickett spent a year as Charlie Partridge’s offensive coordinator at Florida Atlantic. Trickett’s first five years as a full-time assistant coach were at FCS Samford, the final three of which were spent as offensive coordinator. He served as a graduate assistant for the two most prominent coaches who were born and raised the state – Nick Saban at Alabama and Jimbo Fisher at Florida State. 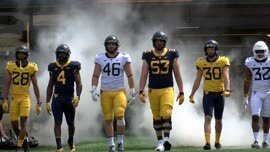 Trickett is also a 2003 Morgantown High and 2007 WVU graduate who served as a volunteer undergraduate assistant on Rich Rodriguez’s coaching staff. Trickett’s dad Rick served as WVU’s offensive line coach from 2001-07 and was also a Mountaineers assistant coach from 1978-79. 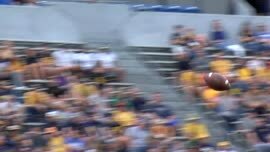 Younger brother Clint was WVU’s starting quarterback in 2013 and 2014.